Award-winning short film The Carer was written and directed by Dr Christine Templeton-Parker as the result of her research into the issue of equality for the LGBTQ (Lesbian, Gay, Bisexual, Transgender, Queer) community within care homes. The Carer was commissioned by QUAD, Derby’s arts centre, for its Shine a Light series of short films – a participatory film-making project for the over 60s, which was funded by the Esmée Fairbairn Arts Foundation. In The Carer, Ari, a sophisticated and urbane gay man, moves into a care home and encounters Beau, the beautiful, heterosexual, illiterate former thief who is now his carer. Their unlikely meeting changes the future for both of them. 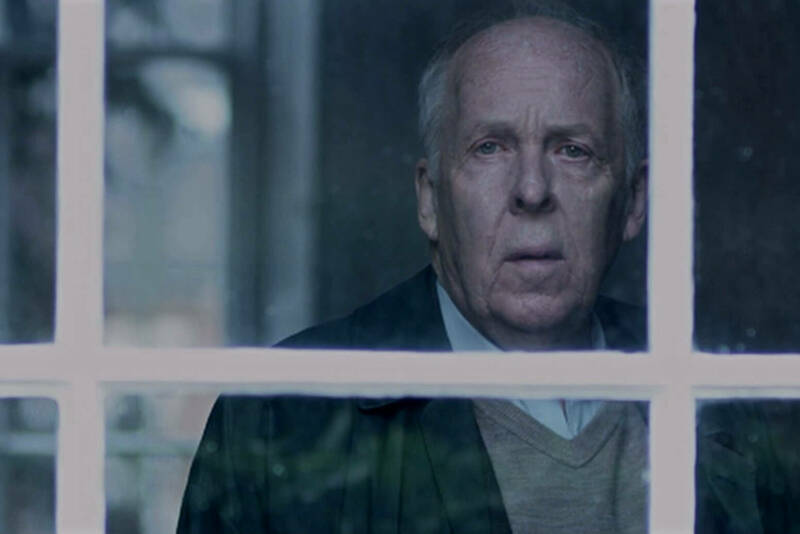 Ari is played by BAFTA-nominated actor Peter Eyre and Beau by newcomer Barney Glover. “The idea for the film came from my meetings with Seen ‘Ya Rights, a group of elderly LGBTQ activists taking part in the Shine a Light project,” explains Dr Templeton-Parker, Senior Lecturer in Film and Video Production and Programme Leader for the MA Writing for Performance. Seen ‘Ya Rights’ fears seemed to have been confirmed by research into this issue. One previous study found that most care home staff believed there were no LGBTQ residents in their homes, despite official statistics that suggested otherwise. Dr Templeton-Parker’s visits to care homes during her location search for the film also supported this finding. Originally screened at QUAD, The Carer went on to win five prestigious Awards of Excellence at the international Best Shorts Competition and was accepted for BAFTA consideration. The Seen ’Ya Rights group was also delighted with the outcome, writing to Dr Templeton-Parker: “Thanks so much for creating something beautiful, sensitive and meaningful” (Sue Tomlinson and Jenny King, members of Seen ‘Ya Rights). The Carer is now touring film festivals and had its world premiere at the 2016 Palm Springs International Short Films Festival. After its festival run, Dr Templeton-Parker is arranging screenings for care home staff, to raise awareness within the sector and to research further, the experiences of LGBTQ residents in care homes and the attitudes of care home staff.